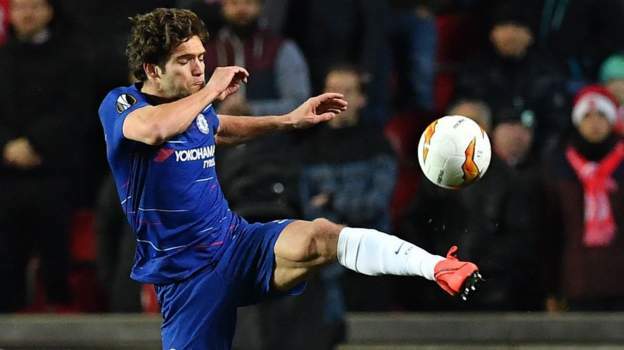 Chelsea have just completed the first quarter of their Europa League double legged tie with Slavia Prague, and to be honest we were expecting more from a front three who have all played with big nations at the World Cup. The service hasn’t been there for them either – although that’s a midfield featuring three regular first team names. The defence and goalie too are made up of regulars, apart from Christensen. So there can be no excusing the weak first half showing that fans on social media have been getting stuck into. They aren’t happy with this performance, and we can’t blame them. We have to step things up after the break. Alonso has space to run and just boots it at Giroud, sigh. Marcos Alonso’s decision making is AWFUL, and his execution is even worse. Some players need to remember they’re playing football, not futsal. Losing the ball too much due to fancy flicks and turns.